Ringing bells, flashing lights and the chance of winning big fortunes at the press of a button have made Slots the most popular game in the casino, and for good reason. The RTP (Return to Player) is the theoretical long-term return you can expect when playing a particular slots game. Most of us are familiar with the classic Three Reel Slot Machine where to win you simply match 3 symbols on the middle row, but Online Slots, or Video Slots as they are commonly known, are much, much more exciting. First of all, where classic slot machines have 3 reels, most Video Slots have five, and the chance of winning isn’t restricted to the middle row only. It can be on the top or bottom row, it can be diagonal, zigzag, or even ‘Tetris’ style! And the combinations to win change from one Video Slot game to another, keeping everything fresh and thrilling. Let’s take a look at how Video Slot games work. Video Slots may have anything from 1 – 25 paylines, and some even have up to 100. If the slot you choose has 25 paylines this means that every spin has 25 different ways or combinations in which to win. Before each spin you decide how many paylines you want to bet on; you can select any number from 1 to 25. You can’t choose the specific lines you want to bet on, just the number. Each line you bet on requires an active bet, if you choose to play 1 line, you need to place 1 bet on every spin, play 10 lines and you bet 10 in every spin. The more paylines you bet on, the higher the bet amount you spend on every spin. Each payline is a betting option, and you can choose how many you want to bet on and how much you want to bet per line. Paylines may pay out horizontal, vertical, diagonal, zig-zag and even ‘Tetris’ style combinations, the more paylines you choose, the more opportunities you get to create winning lines. You can get more than one winning line per spin. One of the most important symbols in the game is the Wild symbol. These are similar to the ‘Joker’ in card games and can pop up at any time. Wilds substitute for all symbols except Bonuses and Scatters and generate wins by completing winning line combinations. More than one Wild can appear, the more Wilds, the more the winning amount is multiplied. Sticky Wilds add to a payline win and remain in place for as long as you have free spins. Expanding Wilds are really exciting and expand to cover the entire reel, replacing all the other symbols. Scatter symbols, or ‘Scatters’, may trigger a Bonus Game, multiply the total bet, or activate Free Spin rounds giving you anything from 1-50 free spins. The number of Scatters needed to trigger a bonus or Free Spin round differs from slot to slot, check the payout table to see how many you need, and Scatters can appear anywhere on the reels, not just in a payline. The payout table tells you what the usual payout for a winning combination is. Most Video Slot machines also have a symbol designated as a multiplier. If this symbol appears in a winning combination then the payout is multiplied by 3x or 4x or any other amount specified in the payout table. In a Free Spins round you get to spin the reels without having to place an additional bet, and you collect any payouts won. The payouts may also be enhanced by a multiplier. The Free Spin round is usually triggered by a sequence of symbols, most commonly three or more scatter symbols appearing on the reels. Many Video Slots contain one or more interactive bonus games where you can win extra cash or Free Spins without placing additional bets. Bonus games may be triggered by scatter symbols, or another bonus symbol. The number of bonus symbols required differs from slot to slot. Sometimes it’s possible to win a progressive jackpot during a bonus game. Many Video Slots have a Progressive Jackpot which increases the more people play and with each wager. Progressive Jackpots may be random and hit with any spin, or require a set combination of symbols. Once the jackpot has been won, the jackpot amount will then be reset and keep rising until it is hit again. 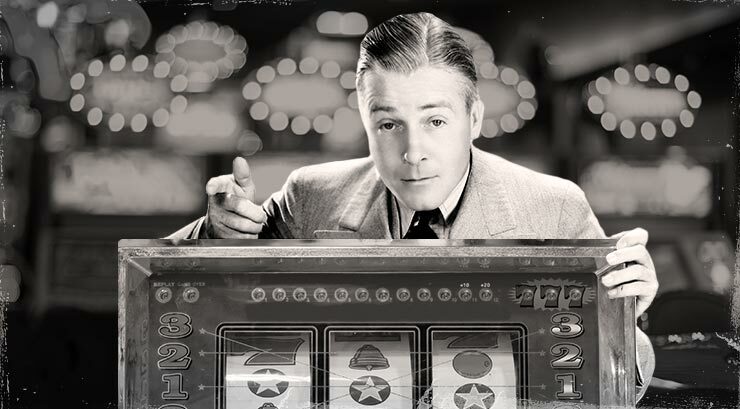 Many slot games incorporate an Auto Play button. This allows you to set the number of times the reels spin automatically, you don’t need to keep pressing the spin button, or even be at the computer! Playing Slots is so much fun, go to our slots page now!